Continuing with my review of ILNP‘s Fall 2015 Collection, today I’ve got part two to share! (See here for part one) In this post, I’ll be reviewing the six holographics. Overnight bag is an espresso brown holo with a gorgeous gold and mahogany shimmer and added holo shards. Shown here is two coats plus top coat. Depending on your first coat, you may need a third coat. This polish applies very smoothly. The holo shards and shimmer are stunning! I really love the espresso tone of this polish! The shimmer and holo are perfect! Lulu is a deep grape holo with strong blue undertones and added holo shards. Shown here is two coats plus top coat. As with Overnight Bag, you may need to add a third coat to achieve full opacity depending on your first coat. No matter the number of coats, this polish has a wonderful formula. Super easy to apply and control! The holo shards are very prominent making it extra holo – which is a very good thing! It’s a sea of holo shards! 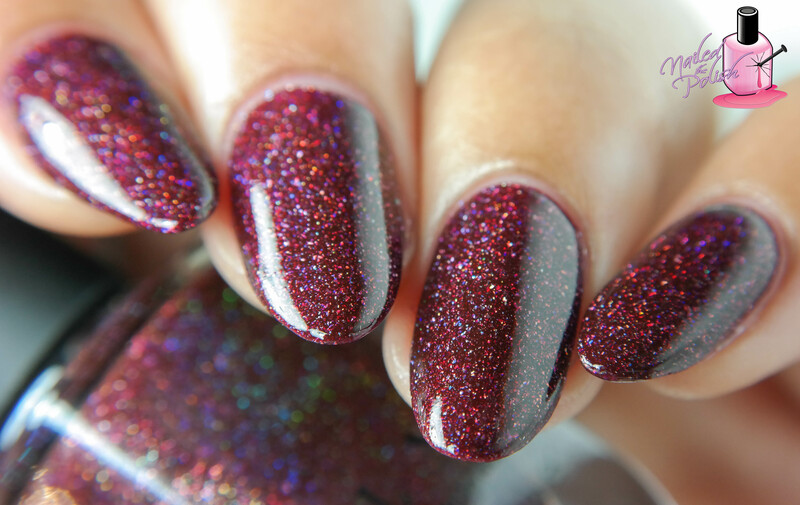 Pretty Little Liar is a rich deep plum holo with red undertones and added holo shards. Shown here is three coats plus top coat. While this polish is a little sheer, the formula is exceptional. Application, dry time, leveling – all amazing! I LOVE the deep plum shade of this polish. It’s perfect for fall! She might be a liar… but boy, is she pretty!! 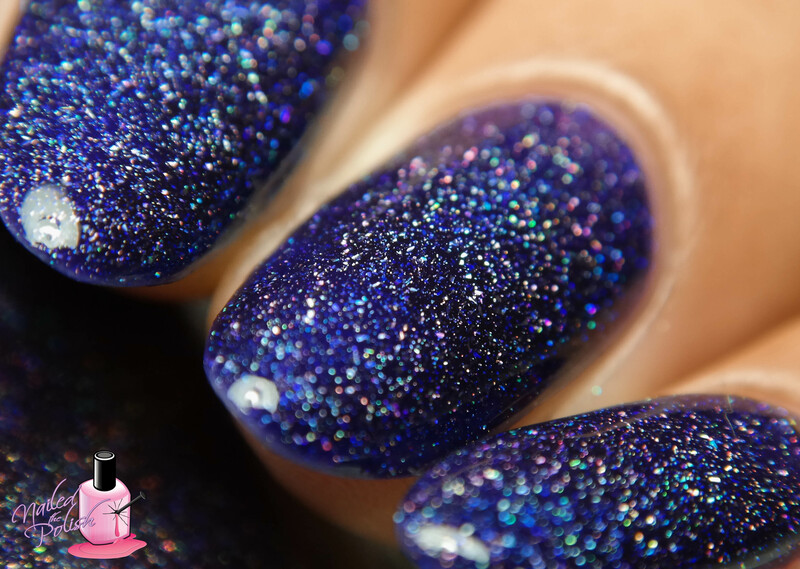 After Midnight is a beautiful Prussian blue holo with gold iridescent flakes and added holo shards. Shown here is three coats plus top coat. I had a slight visible nail line after the second coat so I added a third. Formula is PERFECT. So buttery! The added flakes are so stunning! This shade of blue is quite unique and I think it’s one that looks great on all skin tones. Loving this one so much! Bottle shot to highlight the beautiful gold iridescent flakes! These holo shards are where it’s at! So obsessed! Just look at all those metallic gold flakes swimming alongside the holo shards! L-O-V-E! Yes, yes, yes! These holos are so unique and absolutely stunning! The added holo shards are to die for. Formulas are exceptional as is the color palette. When I think of fall, these are the colors that I think of! My picks to be named in part three! 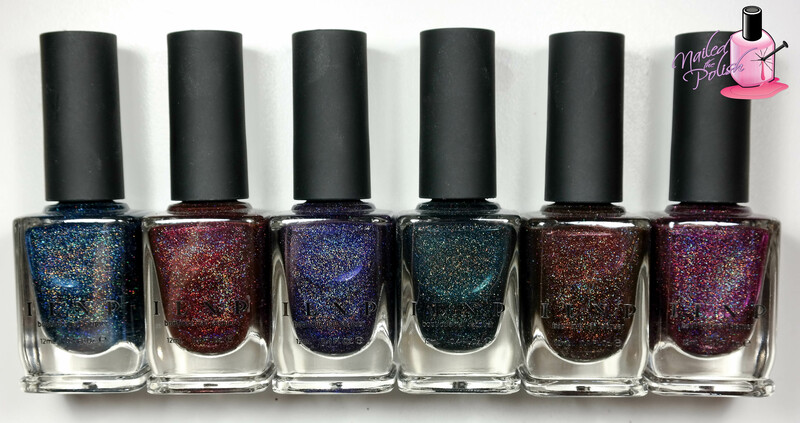 The entire ILNP Fall 2015 collection is available for purchase here. All polishes featured in this post are priced at $10.00 plus shipping. What are your thoughts on part two? Are you feeling the color palette and holo shards?